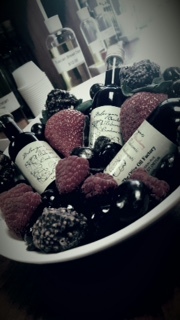 - Best balsamic vinegar I have ever had! Mellisa, MA. Our favorite Infused Olive Oils! 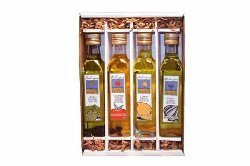 This gift box includes one of each of the following 8.5oz bottles: Lemon, Basil, Sun-Dried Tomato and Garlic Infused Olive Oils. Perfect for every-day use and gourmet masterpieces! *If any item is out of stock, product will be replaced with an item of equal or greater value. **Contents may differ from those pictured. Use Coupon Code: FREESHIP at checkout. 20% off In-Store & Online! CLICK HERE to purchase!